Light your room by lighting your walls! 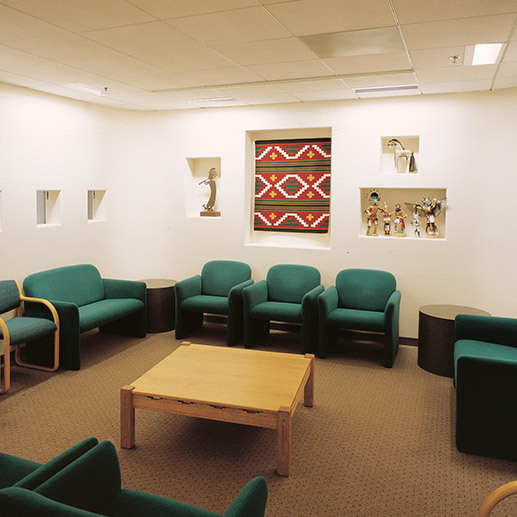 Only six, two-foot wall wash fixtures on 6′ centers light this 14′ x 18′ waiting room. The AKTB Series fixtures provide drama and contrast as they light the entire room by lighting the walls. Horizontal light levels around the perimeter of the room average 40 Footcandles which allows patients to comfortably read while awaiting their appointments. Dr. Rosen & Shepard D.D.S.